Lacquer is also called “japan”. As this fact explains, Urushi lacquerware is a representative traditional craft in Japan. 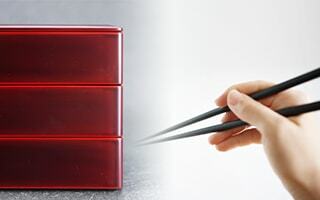 In this page, we collect Japanese lacquer chopsticks, sake sets, bowls, and lacquer boxes. Please feel the beauty of Japanese lacquerware and great usability. With them, dinner table has taste. Gentle outline shaved from natural wood. Elegant gloss of Japanese lacquer. Smooth texture and beautiful atmosphere. Japanese lacquer has been handed down from generation to generation in all around Japan. 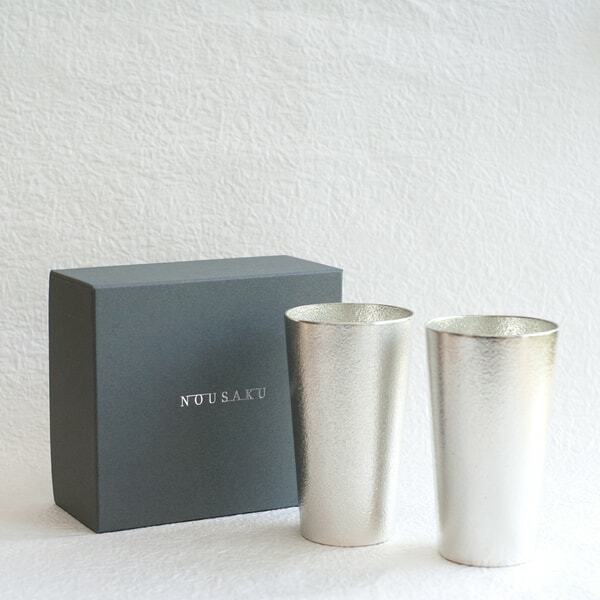 And now, urushi lacquer lives in our life with modern design. 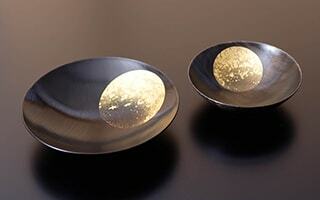 * Oborozuki bowl “Day moon” (Natural) ends its sale due to the end of production. How about using Japanese beautiful lacquerware on your dinner table? 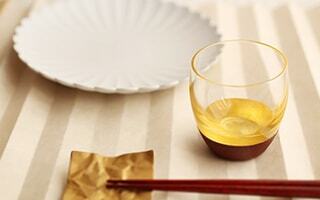 Japanese lacquer is characterized by great presence as high-class tableware, as well as usability for our daily life. Stylish lacquerware works for daily dinner and a special table setting, too. Also, Japanese lacquer would be great gifts for your dearest people. Tough and useful! What is “Japanese lacquer ware”? Lacquerware is a tableware lacquered with Urushi. Urushi or lacquer is processed sap of “Urushi” tree, a tree of Urushi family. Its beauty and durability have attracted people for a long time. In fact, urushi lacquer is a stronger material than usual chemical paint. Japanese lacquer is characterized by its toughness and flexibility. In addition, urushi has high antibacterial effect. So, lacquerware is safe for small child, too. 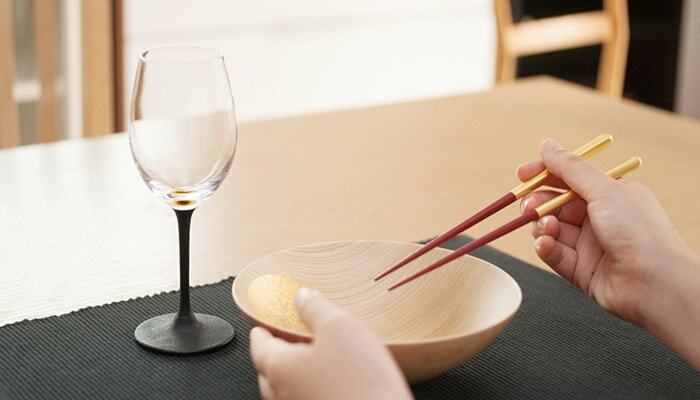 You can use lacquer chopsticks, bowls, cups or plates in as same way as other usual tableware. After use, you can wash lacquerware with soft sponge and thinned neutral detergent. 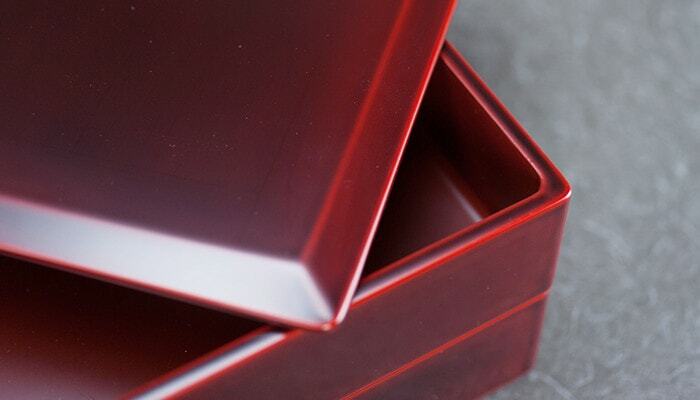 Urushi lacquerware with natural lacquer gains gloss as you use them. 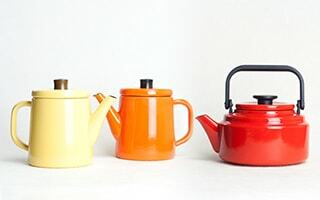 You will become fond of Japanese lacquer ware more and more. 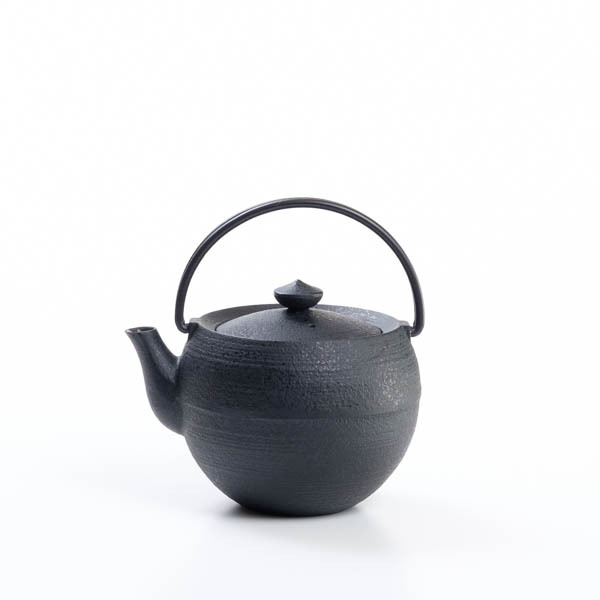 However, natural lacquer ware is weak against ultra violet rays and dry. 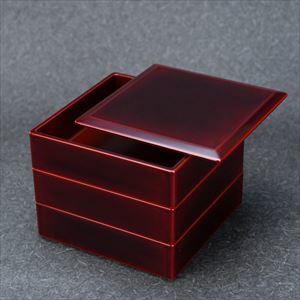 Please do not store urushi lacquerware in place where have direct sunshine or extremely dry. With these two cautions, you can use Japanese lacquer ware for a long time. Now, we have various lacquerware such as coated with urethane or any other resin coating, and plastic tableware. Synthetic lacquerware or the lacquerware coated with synthetic paint are easy to care. They have some taste of urushi lacquer, and easy to use in daily life. Here, let us introduce various Japanese lacquerware from traditional urushi lacquer to crafts made with skill of lacquerware. 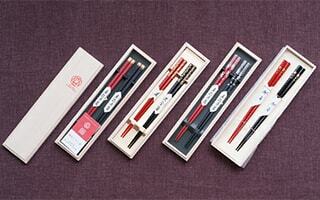 Among various Japanese lacquer ware, lacquer chopsticks are most popular for house use and gifts as well. 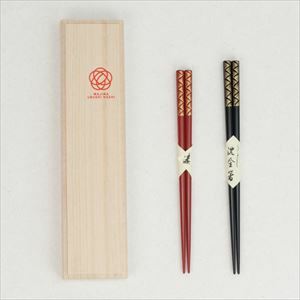 Stylish 2 pairs of chopsticks have been especially popular for wedding gifts or wedding anniversary gifts. Carefully produced chopsticks make you happy every day. 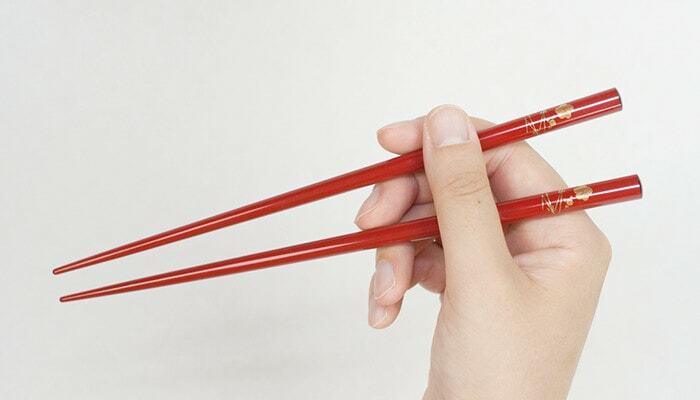 What is your favorite lacquer chopsticks? If you look for Japanese lacquer tableware, we recommend Wajima lacquer chopsticks first. Hashimoto Kousaku Shikkiten in Wajima city of Ishikawa prefecture was established in 1949. 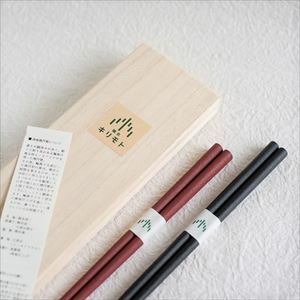 Wajima lacquer chopsticks are made of natural Noto hiba wood and lacquered with natural Urushi. 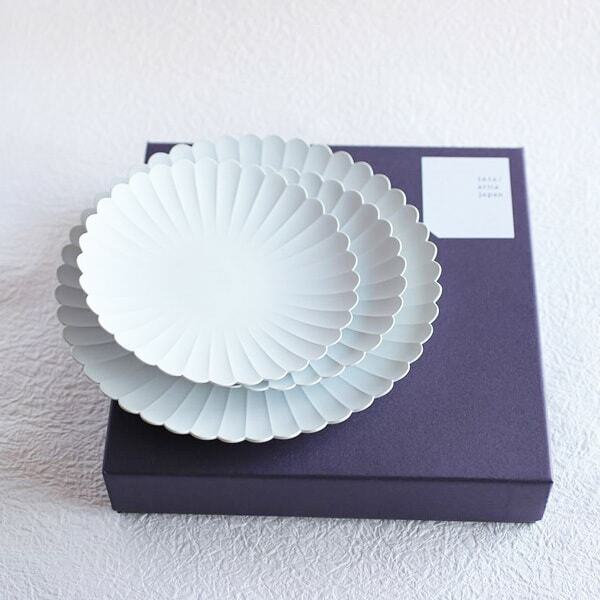 With the Wajima lacquer skill of the First Kousaku, craftsmen produce high-quality tableware. Stylish 2 pairs of chopsticks have elegant lineup, Hand-painted Makie chopsticks “Ume Matsuba”, Hand-carved Chinkin chopsticks “Seigaiha”, Hon Kanshitsu chopsticks “Kirara” and Hon Kanshitsu chopsticks “Sakura fubuki”. 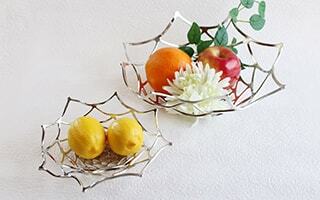 “Kirara” has been especially popular as gifts for its mat gloss and simple design. 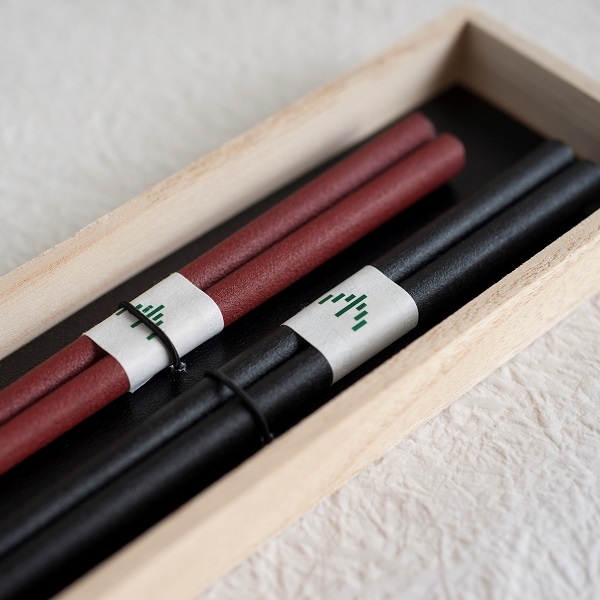 [Hashimoto Kousaku Shikkiten] Wajima lacquer chopsticks are made of natural wood and lacquer. They are beautiful with delicate work and gloss of lacquer. 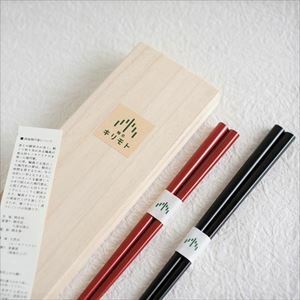 High-class chopsticks sets would be great gifts as well. Japanese lacquer × tin! 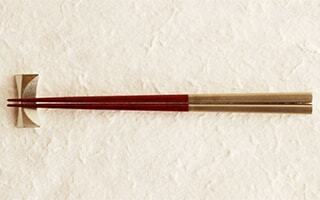 These lacquer chopsticks are the masterpiece of contrast of material. RIN from Gato Mikio Store is a traditional craft of Ishikawa prefecture, Yamanaka lacquerware. We can see expert skill of craftsman from carefully polished chopsticks. Also, please look at the calm gloss of tin Makie. Tin Makie has reinforcing function as well. Combinations of Silver×Black or Silver×Red make elegant table setting. 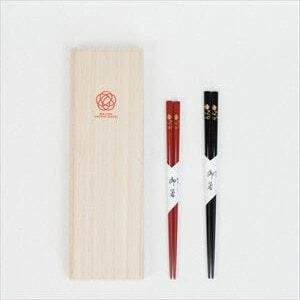 2 pairs of Black and Red lacquer chopsticks would be great wedding gifts. 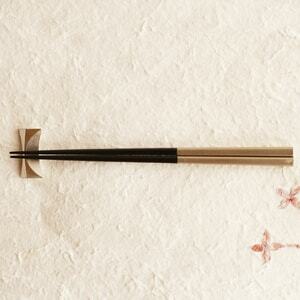 [Gato Mikio Store] Rin is a pair of Japanese lacquer chopsticks. 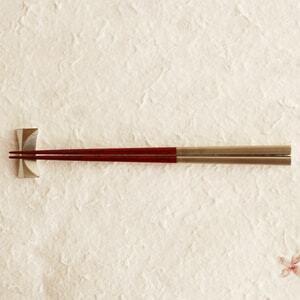 Skilled traditional craftsmen handmade each chopstick with their inherited skill. It has sharp form, and the half is lacquer work of tin. simple and beautiful chopsticks make a Japanese table coordinate. 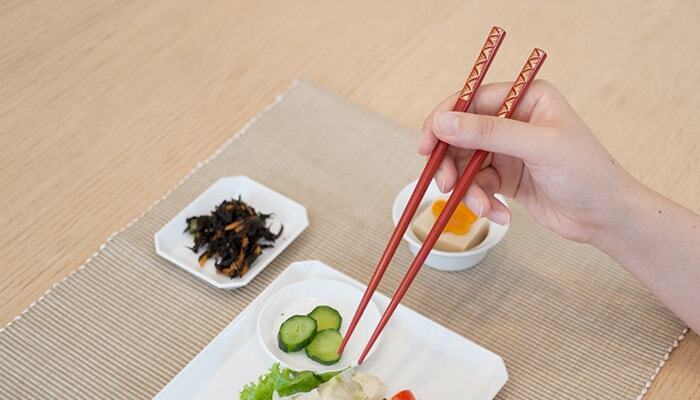 Among various Japanese lacquer ware, chopsticks touch our mouth every day. 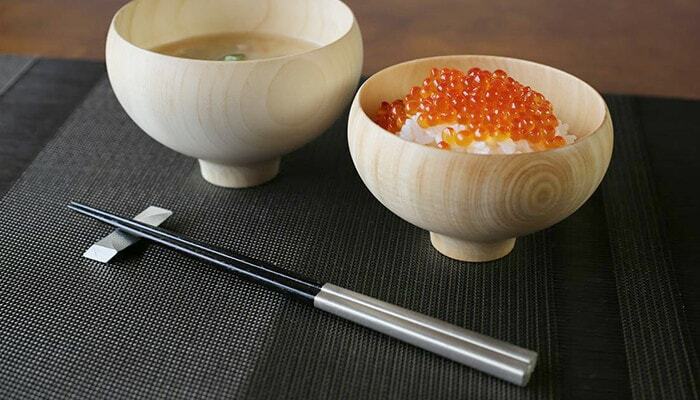 If you like beautiful but simple design, we recommend Wajima lacquer oval chopsticks from Wajima Kirimoto. 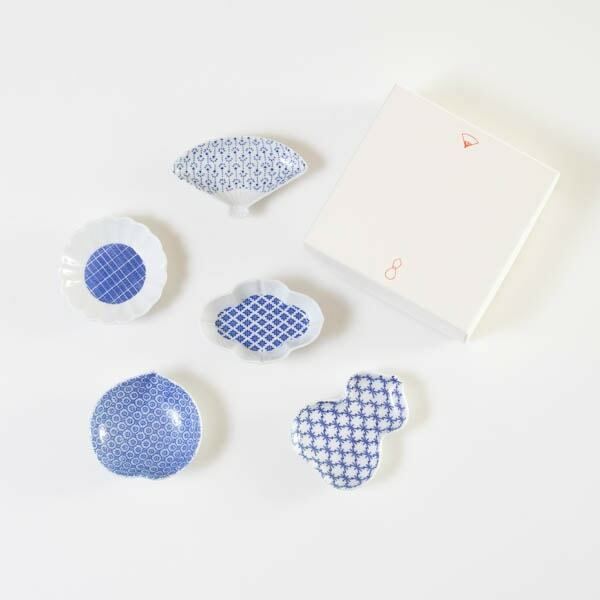 We can feel Japanese craftsmanship from smart and stylish tableware design. 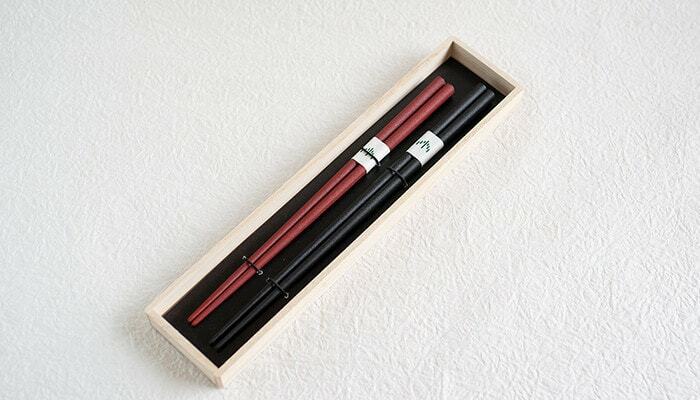 These Japanese lacquer chopsticks are made of natural hiba wood. 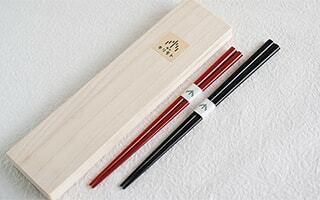 Oval chopsticks lacquered with natural urushi fit our fingers gently. Please feel high-class texture of lacquer tableware produced by superb skill. 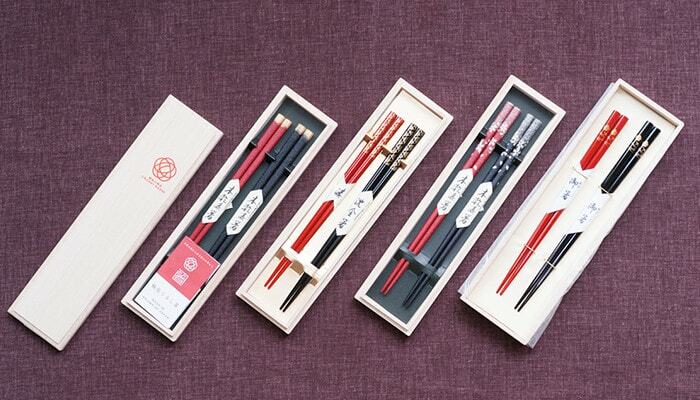 Wajima lacquer oval chopsticks from Wajima Kirimoto have 4 types, Red or Black, and Uwanuri (glossy) or Makiji (mat). 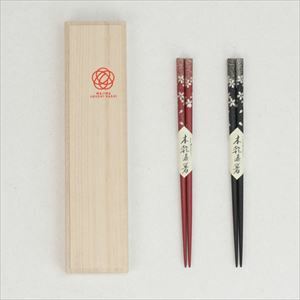 2 pairs of Wajima lacquer chopsticks have been popular as wedding gifts, too. 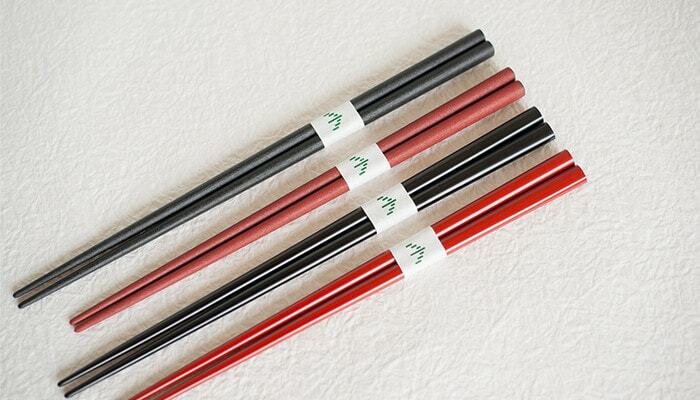 [Wajima Kirimoto] Lacquered chopsticks of Wajima lacquerware have been famous for highest-quality daily necessities. Oval form chopsticks are very rare. 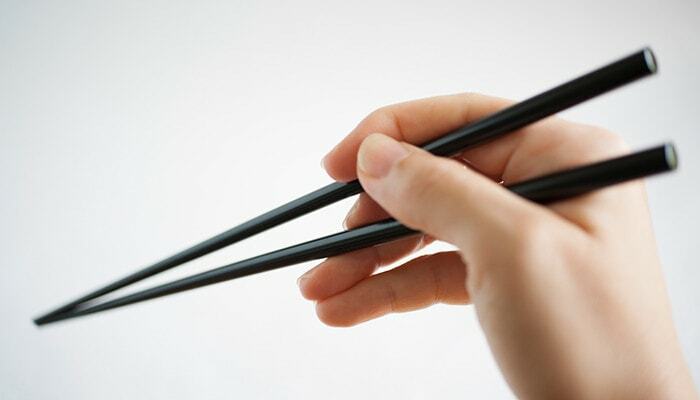 A pair of chopsticks are best gift items for couples. 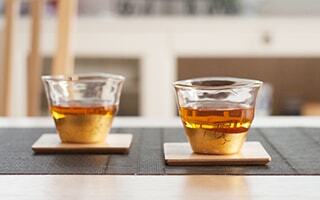 Sake time with Japanese lacquer ware is a special time. Deep color and unique texture of Urushi changes usual sake into more luxurious one. Stylish lacquer sake sets have been also selected as anniversary gifts. If you like Japanese sake, we would like you to recommend lacquer sake cup from Toba Shitsugei. 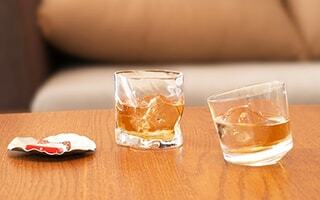 This glass is lacquered with intangible cultural heritage of Shizuoka prefecture “Kongou-Ishime-Nuri”. With the special skill, lacquered place has mat and rough texture with deep color. Japanese lacquer sake cup of Toba Shitsugei has superb combination of gloss of glass, glitter of gold or white gold leaf, and mat texture of urushi. 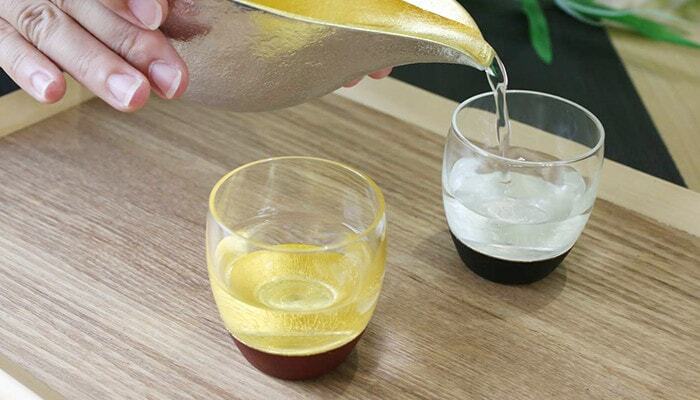 When you pour sake, gold leaf reflects light. Glass looks clearer. 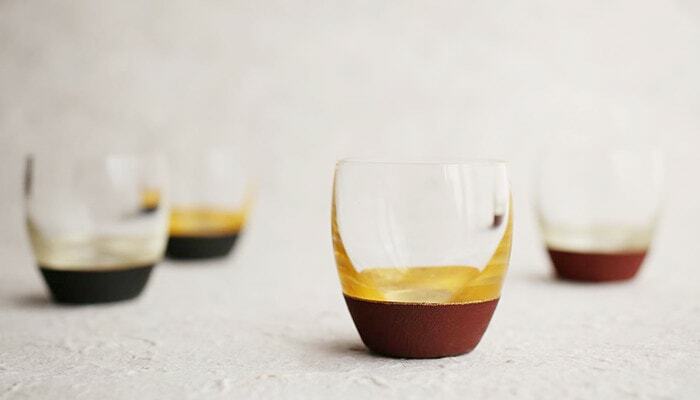 Lacquer sake cup is luxurious high-class tableware. Auspicious pair glasses of gold and silver would be great memento for a special day. [Toba Shitsugei] Lacquered sake cup from Toba Shitsugei. This gilded and lacquered glass makes your dinner time luxury. Simple, modern, and gorgeous. 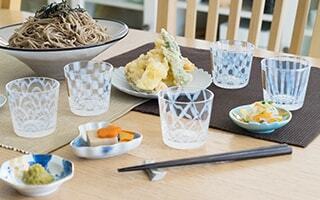 A special glass produced by Japanese traditional material and craftsmanship. 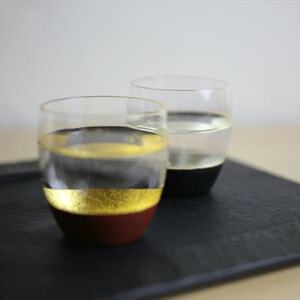 Toba Shitsugei also offers beautiful lacquer wine glasses. In the lacquered stem, we can see colored lacquer or gold or silver leaf. 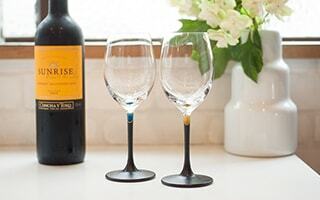 Chic and beautiful lacquer wine glasses are suitable item for a stylish home party. 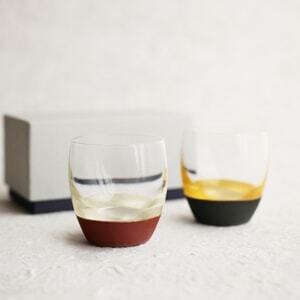 [Toba Shitsugei] Lacquer colored wine glasses have original design with lacquer work and color lacquer or gold leaf. 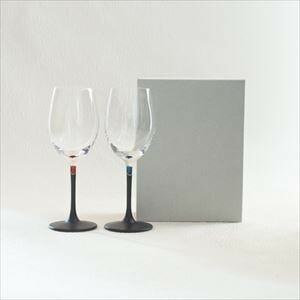 Stylish colored wine glasses with special skill Kongou-Ishime-Nuri, transparency of glasses, and delicate gold line. We prepare some pairs for gifts. Many people remind lacquer bowls first when you imagine “lacquerware.” Japanese people eat miso soup or soup directly from soup bowl. Since it touches our hands and lips every day, we recommend lacquerware that has smooth texture. Please look at the beautiful form shaved from natural wood by skilled craftsmen. If you would like to enjoy unique texture of lacquerware, how about this gently warped bowl? This is “Gudakusan Shiru Wan” from WDH. To make it easier to drink soup, the rim of lacquer bowl is a little bit warped from inside to outside. Craftsmen in Kaga city of Ishikawa prefecture turn wood with lathe one by one. 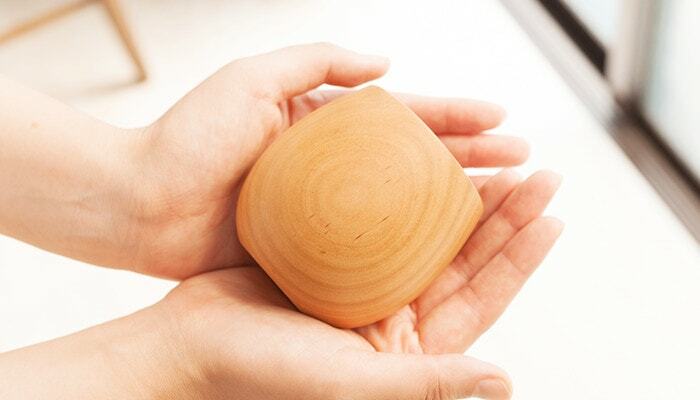 This lacquer bowl is made of natural keyaki wood. Large lacquer bowl can contain 500ml. 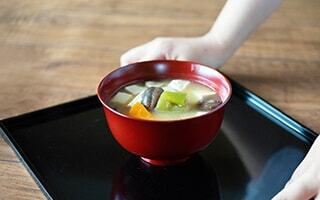 “Gudakusan Shiru Wan” is a lacquer bowl for soup with a lot of ingredients. It is good for fish soup, ozoni, or buckwheat noodles. Large lacquer bowl can be small donburi bowl for katsu don as well. [WDH] Want to take a lot of vegetable? We recommend large lacquer bowls “Gudakusan Shiru Wan.” It is a lacquerware for miso soup with a lot of ingredients. Also good for donburi or noodles. Beautiful rounded form is shaved by woodturners in Kaga. 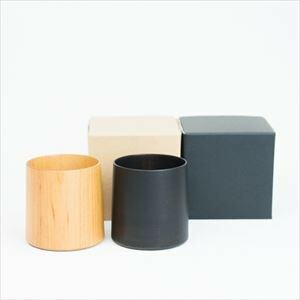 If you look for Japanese modern lacquerware, we recommend “WAN” from amabro. 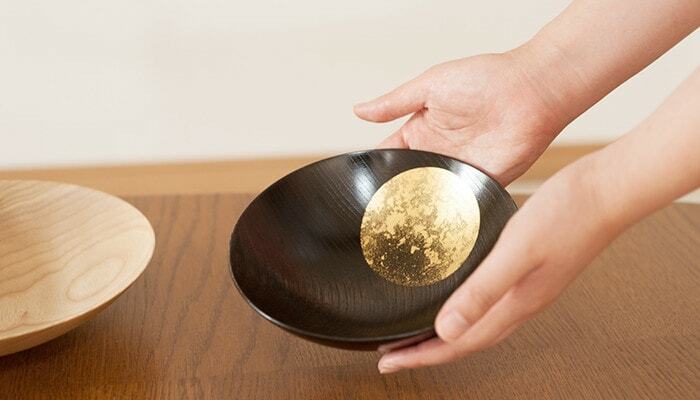 These bowls have modern gold paintings. We can see wood grain slightly at inside of the lacquer bowls. This is expressed with a special skill “Me-Hajiki.” Modern lacquerware suits well for various types of table setting. We can see deep skill of lacquer that craftsmen handed over from generation to generation. Shin-Nuri, Kuro-Me-Hajiki, Aka-Me-Hajiki, and Bokashi-Nuri. Craftsmen change the method of lacquer for inside and outside the bowl. It takes much time and work to make a WAN. Inside the bowl, we can see cute Tai (sea bream) and Ebi (shrimp). [amabro] Smooth texture, shiny gloss, or warmth of wood. WAN is modern Japanese lacquerware bowl. It has cute accent of Tai and Ebi. 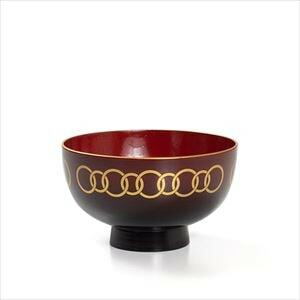 Authentic lacquer bowls can be used in celebrating dinner and great wedding gifts, too. 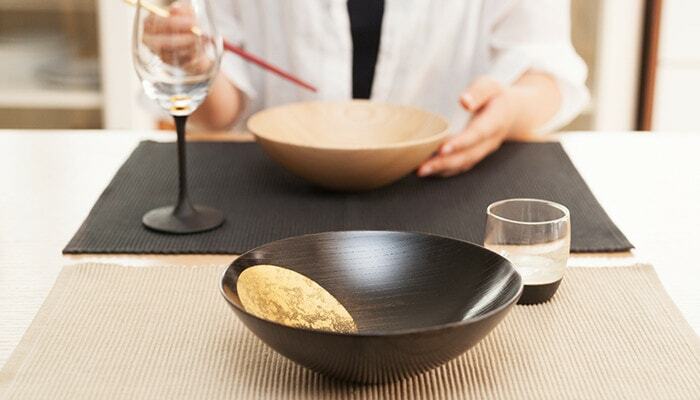 Japan Design Store offer more stylish lacquer bowls. We pursue the material for the bowl. 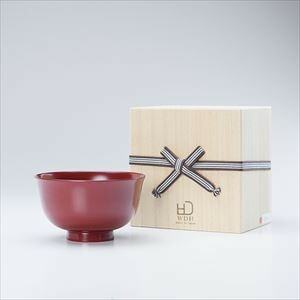 Our shop introduces Japanese lacquer bowl shaved from natural wood. Pair lacquer bowls would be great wedding gifts or anniversary gifts. Please see this page, too. In Japanese meal, we eat soup directly from soup bowl. So, Japanese lacquer bowl has tremendously smooth texture and beautiful gloss. It suits our hands gently. You can use lacquerware bowls for a long time. Good for miso soup, ozoni, osuimono, or any types of soup. When you look for Japanese lacquer tableware, lacquer bowls may come upon in your mind first. Our hands and mouths touch lacquer cups or bowls. You can feel smooth texture of lacquerware and warmth of natural wood. Among Japanese lacquer tableware, Yamanaka lacquerware is a top brand of woodturning. 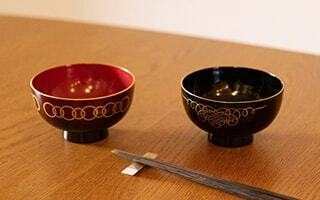 Yamanaka lacquerware is characterized by its beautiful wood grain shaved by skillful craftsmen. 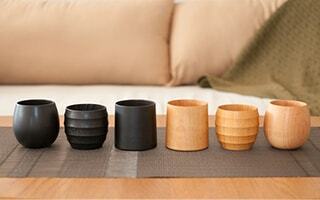 Wooden cup of Gato Mikio store are filled with skill of woodturners. Since they are simple, we can feel beautiful wood grain, elegant gloss and gentle texture. 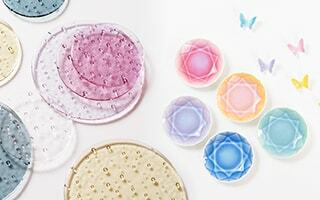 Gato Mikio store offer 3 designs; SAKURA Egg, SAKURA Cylinder, and WAQWA. Each design has 2 colors Plain or Black. Black cups are lacquered by unique skill “Fuki-urushi”. 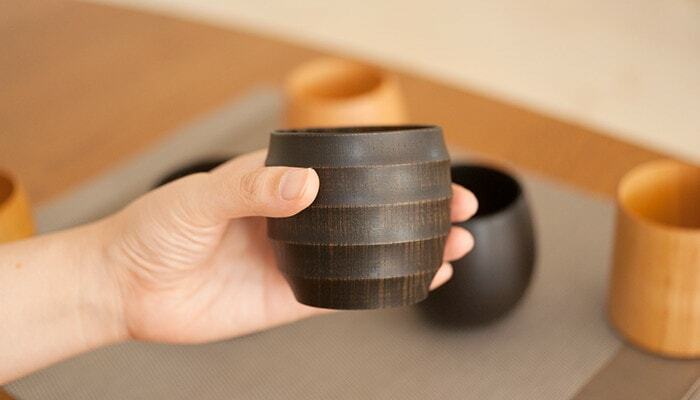 Natural tableware would be cute gifts of pair cups. [Gato Mikio Store] Wooden cups of Yamanaka lacquerware have beautiful wood grain. Simple and sophisticated design is like an artwork. 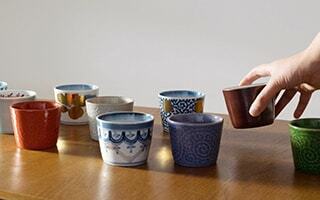 Pair sets of yunomi cups would be great gifts as well. 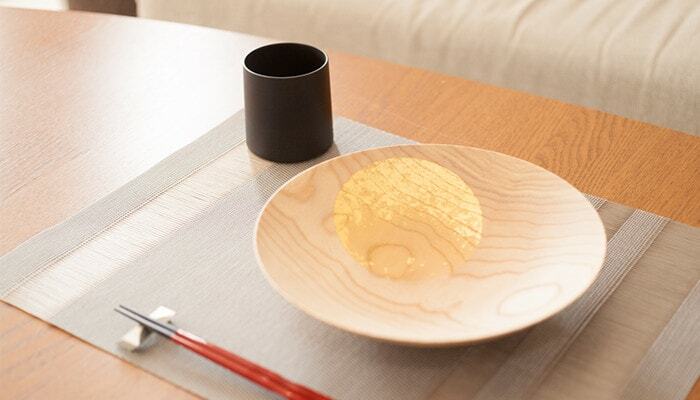 Gold leaf stands out in Japanese lacquer ware. Oborozuki bowl from Hakuichi has beautiful gold leaf work. 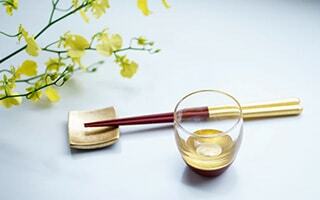 Gold leaf is a traditional craft in Kanazawa city of Ishikawa prefecture. Lacquer bowl has solid atmosphere, but it is very light. 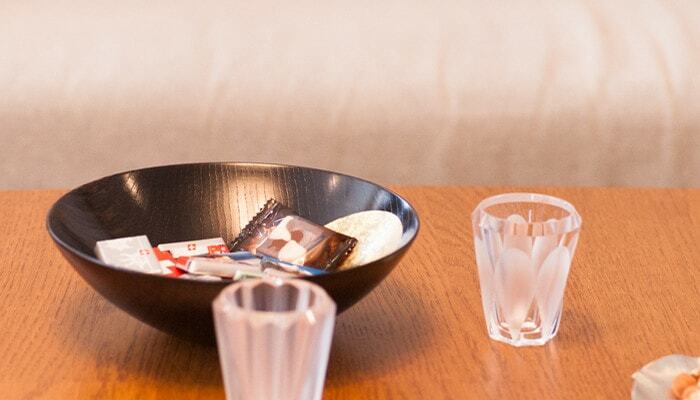 Japanese lacquer bowl Oborozuki can work as a bowl of snacks when you have guests. Or, it is beautiful home decor. Oborozuki has 2 types “Black / Night moon” and “Natural / Day moon”. For both types, we offer 2 sizes 6 sun (18cm) and 8 sun (24cm). Elegant lacquer bowl is useful for dinner as well. 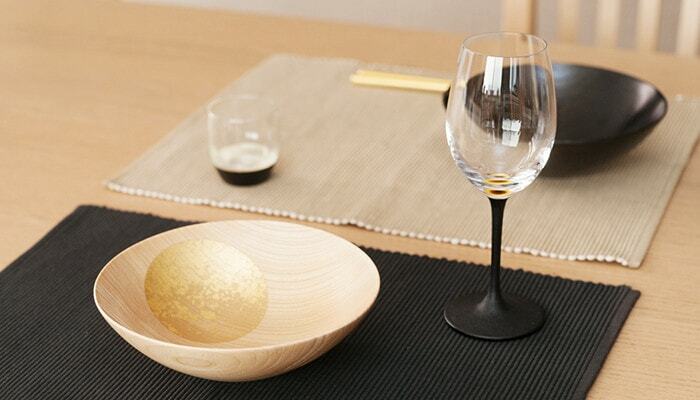 Natural wood × Gold leaf tableware has excellent Japanese atmosphere. Therefore, this Japanese lacquer bowls have been popular in the world. 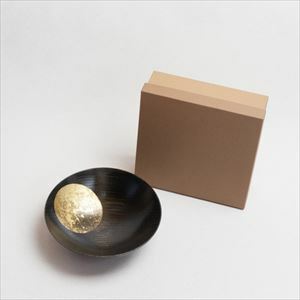 * Oborozuki bowl “Day moon” (Natural) ends its sale due to the end of production. We appreciate your kind understanding. [Hakuichi] Oboroduki is a gold urushi lacquerware. This Japanese lacquer bowl is filled with skills of traditional craftsmen. Shine of gold leaf, gloss of lacquer, and beautiful woodgrain show us superb scenery of full moon. Gorgeous but simple lacquerware would be great items for gifts, too. 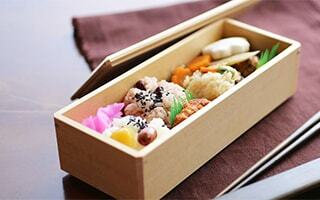 Japanese lacquer box reminds us special dinner like Osechi for the New Year’s Day. 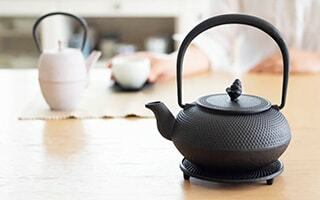 Useful lacquerware can be used every day. However, Japanese lacquer box should have some special atmosphere. 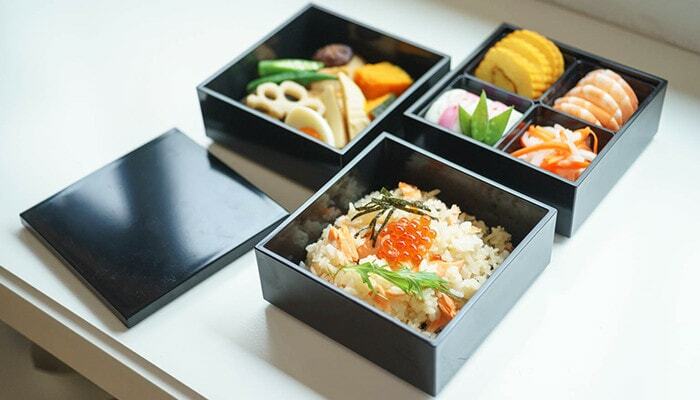 For celebrating meal, entertaining guests, or as box for presents, Japanese lacquer box works well. 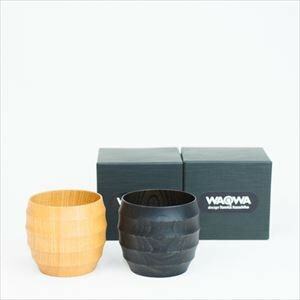 If one likes lacquer ware, he or she wants to get Wajima lacquer box someday. 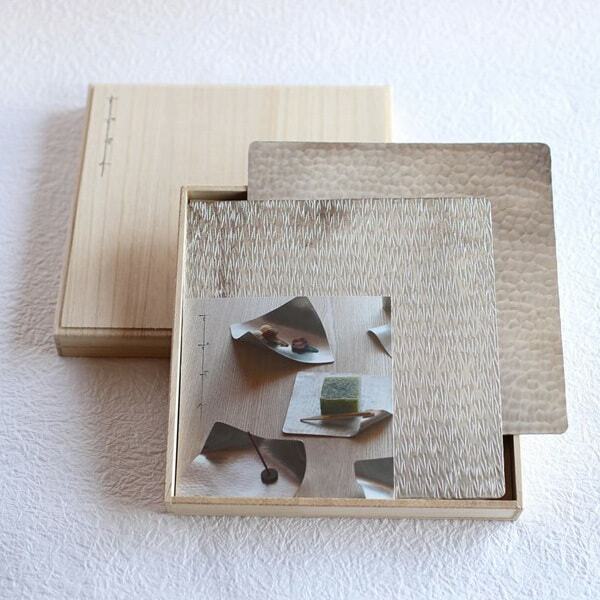 Wajima lacquer box from Wajima Kirimoto has the highest-quality and beauty. Elegant gloss of natural urushi provides gorgeous atmosphere for a special day. It is the authentic Wajima lacquer box. 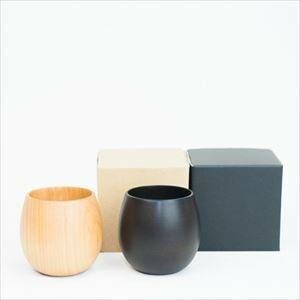 Only Japan Design Store sells this lacquer ware as an online shop. 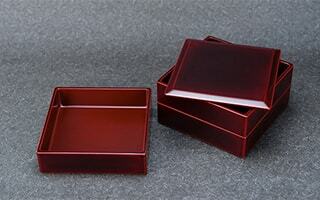 Wajima lacquer box has 3 sizes, 6.5 sun (19.7cm), 5.5 sun (16.7cm) and 4.5 sun (13.5cm). 6.5 sun size box is Tame iro. Only authentic lacquer ware can express this transparent gloss. 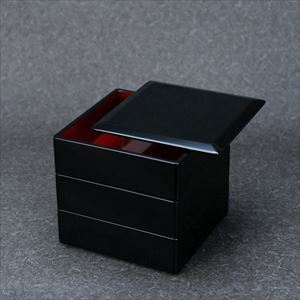 We also offer stylish and modern jubako box with atmosphere of lacquerware. 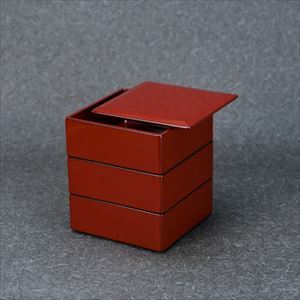 Japan Design Store original jubako box is made of resin lacquerware. 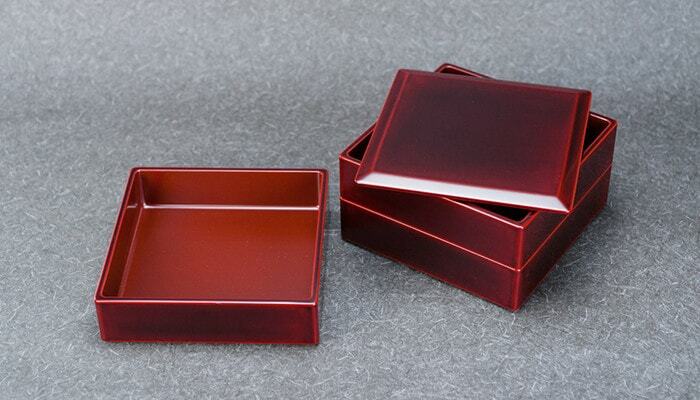 If you want an authentic lacquer box someday but just need reasonable one now, we recommend these jubako boxes. 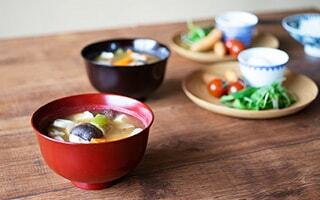 Simple jubako suits Japanese meal as well as any other meals. You can use it easily. 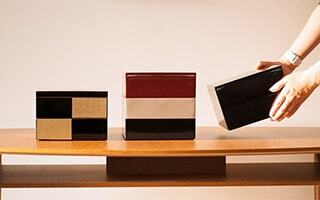 Our original jubako box is not lacquered with natural urushi. However, they have some high-class atmosphere. If you have small child, you can use our jubako box at ease. 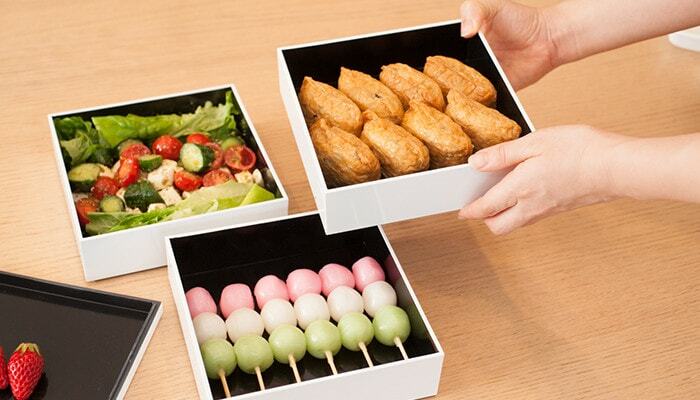 We offer 2 types of jubako box, for Osechi and for outing. Both types have 2 sizes. Please use useful jubako for celebrating dinner or outing in addition to the New Year’s Day. [JDS Original] Where can we find a Jubako box with good design, simple, useful and in reasonable price? As a consequent of our search, we decided to make our original Jubako box! Please enjoy Japanese traditional and modern atmosphere on your dinner table. Japanese lacquer ware seems to be too luxury or too “Japanese.” However, urushi lacquerware is very useful and suits dinner table well. Lacquerware works for daily dinner or entertaining guests. Your life becomes richer with Japanese lacquer. 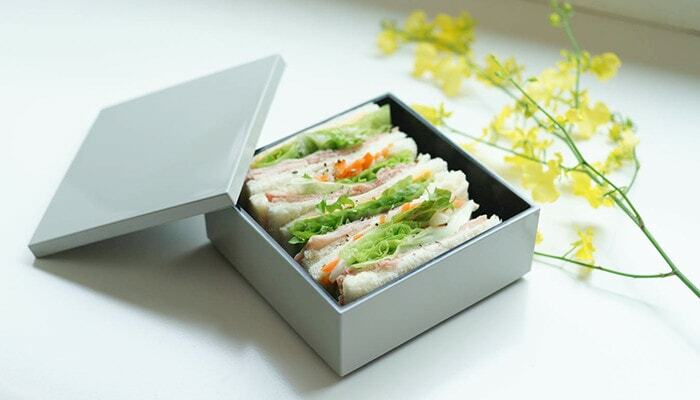 How about sending stylish lacquer ware for your dearest people? Lacquer ware tells your feeling of appreciation or cerebration. One of the representative Japanese traditional crafts Lacquer has been popular in the world. Japanese lacquer ware got great popularity as souvenirs from japan.